Square rug, round rug, rectangular rug or even asymmetrical? Whatever your heart desires, there is an area rug just for you. When choosing a centerpiece, such as a rug for your home, there are a few important questions to ask. Is this piece going to guide the style for the rest of your furnishing and accessories? Or, are you choosing that finale piece that will bring everything together? First thing’s first, this all depends on how this accessory will be used. Some may see area rugs as a piece of art; many will actually take a hand made persian rug and hang is as wall art. An area rug is a statement that will draw emphasis to any specific area of the room. 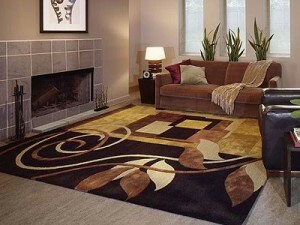 For others, an area rug is simply an add-on, something to spice up the look of a lifeless carpet or bland wood floor. 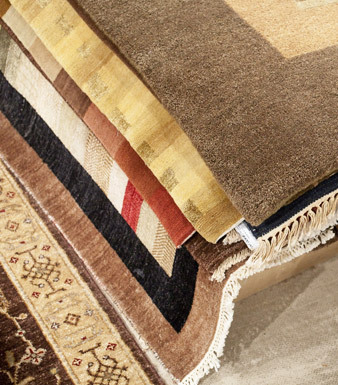 Depending on your mood and style, there are many different types of area rugs to choose from. Some are brightly colored and intricately shaped and some are more simple and casual, not to mention the spicy shag rug. The important thing to remember when purchasing an area rug is to choose a rug store you trust and that also has great taste. Design professionals should be able to help you fit the perfect area rug for your space, no matter how big or small, they also should be able to advise what type of rug would fit your décor as well as your lifestyle with a wide selection of area rug collections to choose from. Here are a few important factors that should be considered. How large of an area rug do you have in mind? What style is the room contemporary or traditional? What colors, textures and patterns are you looking for? What purpose will the area rug serve? If you stick to these simple, yet useful tips, you are bound to discover the perfect custom rug for you your room and home.